Last week was great and this week will be better as people are done with the second round of midterms!!! 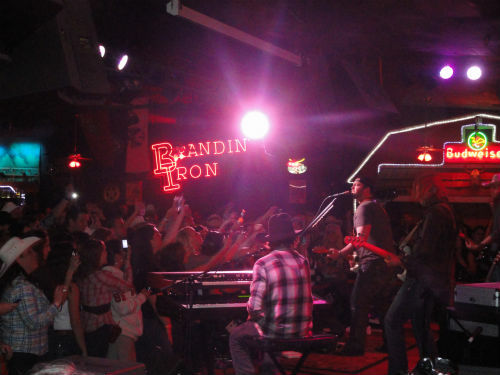 Even if you are busy on Wednesday night, you need to try and go to the Branding Iron “BI”. It is an amazing venue with a great DJ, pool tables, and 5 bars. The DJ plays a variety of music for dancing. Although, being that the BI is a country style club there are choreographed line dances throughout the night that are very entertaining to watch as it is to participate. Wednesdays at the BI is “College night” and very popular for 18-25 year olds. The cover is free before 11pm, after 11pm is $5. 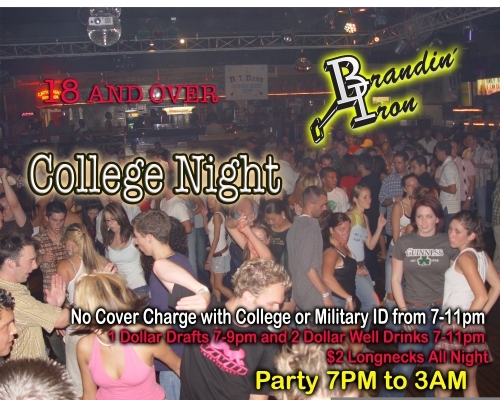 If you are 18 and over just be sure to get there early to avoid paying the cover. AND don’t forget your college or milatary ID.